SALEM — The young Salem Quakers boys basketball team is gaining some experience. 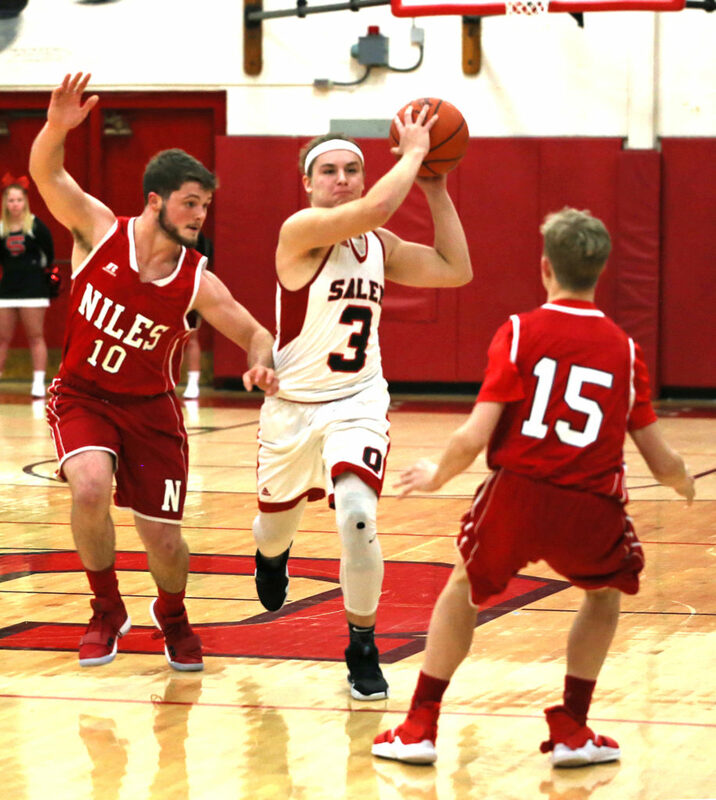 Unfortunately, that lack of experience proved costly in a 65-57 loss to the Niles Red Dragon Tuesday night at Cabas Gymnasium. The setback drops the Quakers to 0-2 on the season, while the Red Dragons improve to 2-0. With the Quakers leading 46-43 with a little over six minutes remaining in the game, the Quakers saw the Red Dragons go on a 13-3 run, grabbing a 56-49 lead at the 3:43 mark of the quarter. The combination of Cyler Kane-Johnson and Corbin Foy for the Red Dragon proved to be the difference in the final frame of the contest. Kane-Johnson scored 12 of his game-high 31 points, while Foy collected six of his 22 game points in the final quarter as the Red Dragons out-paced the Quakers 22-18 in the period. The Quakers committed a handful of costly turnovers in the final minutes that led to the Dragons pulling away. Although the two teams were roughly equal in rebounding on the night, the Red Dragons dominated with 14 of their 20 rebounds coming on the offensive boards. Andres pointed out that that aspect played a big role in the Red Dragons pulling away in the end. The two teams battled evenly throughout the first three quarters with the Red Dragon holding a narrow 16-14 lead at the end of the first quarter, and an even slimmer 32-30 advantage at the intermission. The Quakers lead by five, 26-21 at the 3:20 mark of the second quarter before the Red Dragons went on an 11-4 run to close the stanza. The Quakers and Dragons slowed the pace a bit in the third quarter with the Dragons holding a 43-39 advantage at the end of the period. Then the Quakers started the fourth quarter on fire as they rushed out to a 7-0 run courtesy of a three-pointer by Trey Double at the 6:43 mark, followed by a basket by Turner Johnson. That is when the Dragons responded with their game-winning push. Josh Young led the Quakers with 17 points. Trey Double grabbed six rebounds, while Josh Lehwald and Niko Walter each had four assists. The Quakers captured the junior varsity contest, 39-28. Kaden Russell paced the Quakers with nine points. 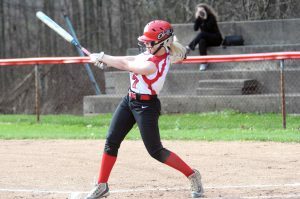 The Quakers will begin EBC play Friday when they travel to Canton South. Niles will host Boardman on Friday. NILES SCORING: Trent Johnson 0-0-0, Doug Foster 2-0-4, Cyler Kane-Johnson 10-8-31, Corbin Foy 6-6-22, Joey Corson 0-0-0, Vincent Chieffo 1-0-2, Robert Savin 1-0-2, Jalen Royal-Eiland 0-2-2, Chase Sudzina 1-0-2. TEAM TOTALS: 21, 16-20: 65. SALEM SCORING: Josh Young 5-5-17, Niko Walter 2-2-8, Turner Johnson 4-0-9, Josh Lehwald 1-1-4, Jaren Snyder 1-0-2, Trey Double 2-2-8, Hunter Griffith 1-6-9. TEAM TOTALS: 16, 16-24: 57. Three-point goals: Niles 7 (Foy 4, Kane-Johnson 3), Salem 8 (Young 2, Double 2, Walter, Johnson, Lehwald, Griffith).